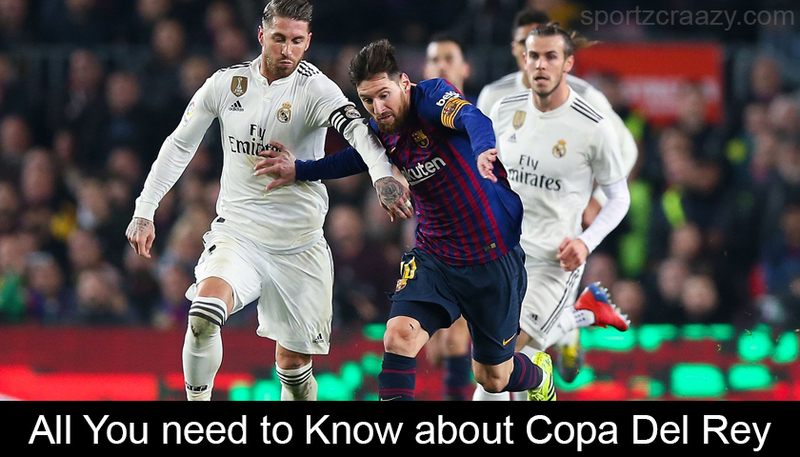 Copa Del Rey:- Copa del Ray is a football competition held annually and is organized by the Royal Spanish Football Federation. It is also called Campeonato de España–Copa de Su Majestad el Rey. Founded in 1903, Copa del Rey is the oldest Spanish football tournament. Winners of Copa del Ray qualify for the next season’s UEFA Europa League. 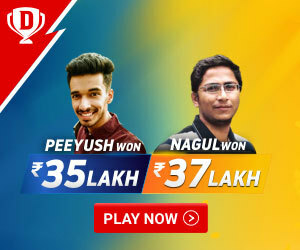 But if they have already qualified because of their league position, then the spot is given to the highest place team who has not yet qualified for the League. In the competition, Barcelona is the most successful club and also holds the maximum cups. In 2018 final in Wanda Metropolitano, they won their four consecutive trophy and 30th title against Sevilla. During the years of Francisco Franco’s Spanish State, it was called the Copa de Su Excelencia El Generalísimo or Copa del Generalísimo (His Excellency, The Supreme General’s Cup). So far, Barcelona has won the Copa 30 times and Athletic Bilbao with 23 or 24 titles are just behind them. Since the competition began, there have been only 12 actual trophies. The trophies were awarded when clubs won the league either three times in a row or five times and on some other special occasions. Till now, Barcelona has five trophies, Bilbao has three and Real Madrid has one. In the tournament, formats have changed many times, And currently, teams from the Primera División, Segunda A, about 23 teams from the Segunda B and the Tercera División champions (or runners-up if the champion is a reserve team) are invited to enter. The lower divisions are given home advantage and they play early rounds with the higher divisions teams. First, there is a round of 32, then 16, and then the quarter-finals and the semi-finals and all these are played over two legs. Then the team which wins the final qualifies for both the Supercopa de España and the UEFA Europa League the following season. 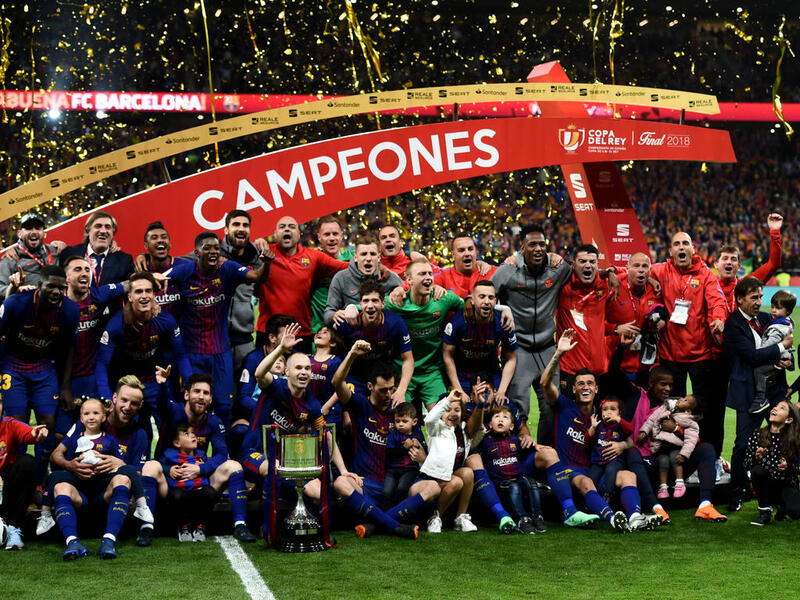 Although the championship was founded in 2903, we have made a list of most recent winners who have won the Copa del Rey Cup title. 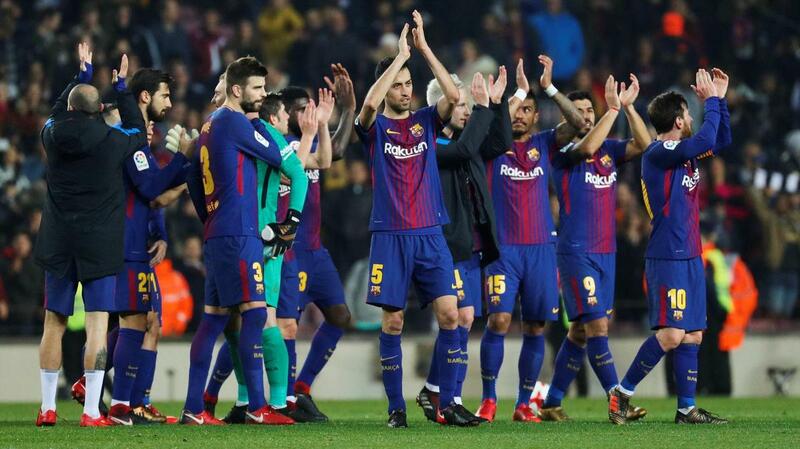 2017-18: At Wanda Metropolitano, Barcelona won against Sevilla by 5-0. 2016-17: At Vicente Calderón, Barcelona won against Alavés by 3–1. 2015-16: At Vicente Calderón, Barcelona beat Sevilla by 2-0. 2014-15: At Camp Nou, Barcelona won the title by beating Athletic Bilbao by 3–1. 2013-14: at Mestalla, Ream Madrid beat Barcelona by 2-1. 2012-13: At Santiago Bernabéu, Madrid (formerly Atlético Madrid) beat their opponents Real Madrid by 2-1. 2010-11: At Mestalla, Real Madrid won by defeating Barcelona by 1-0. 2009-10: At Camp Nou, Sevilla beat Atlético Madrid by 2–0. 2008-09: At Mestalla, Barcelona defeated Athletic Bilbao 4–1. 2007-08: At Vicente Calderón, Valencia defeated Getafe by 3-1. 2006-07: At Santiago Bernabéu, Sevilla won by defeating Getafe by 1-0. The following list includes records from 1903 to the present. In 1942, Athletic Bilbao lost to Barcelona by 4-3. The best goal scorers have been Telmo Zarra who has played for Athletic Bilbao with the highest score of 81 goals. Second, on the list is Josep Samitier with a total score of 70 goals who has played for Barcelona and Madrid. Guillermo Gorostiza from Athletic Bilbao and Valencia is third on the list with 62 goals. Fourth on the list is Quinn from Sporting Gijon and Barcelona with 55 goals. Edmundo Suarez from Valencia with 52 goals is fifth on the list. The sixth on the list is Lionel Messi, from Barcelona who has scored 50 goals. For the seventh position, there is a tie between Ferenc Puskas from Real Madrid and Laszlo Kubala from Barcelona with 49 goals. On the ninth position, there is Santillana from Real Madrid with 48 goals. Cesar Rodriquez Alvarez on the tenth position scored 47 goals for Granada, Barcelona, and Elche. 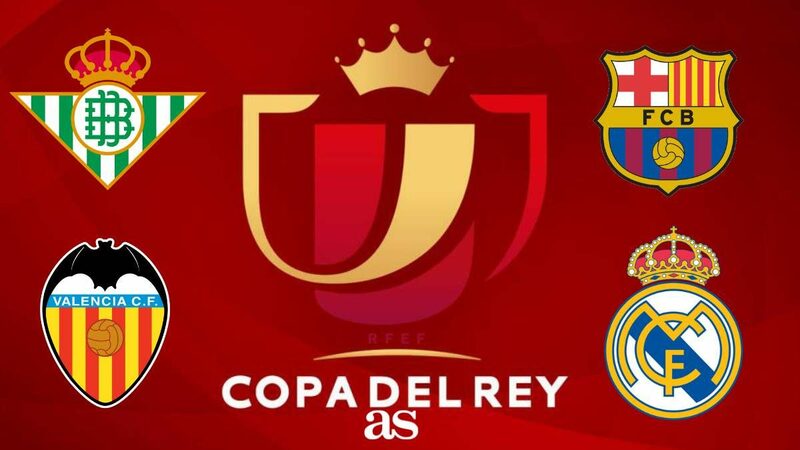 In the ongoing 2018-19 Copa del Rey, Barcelona and Valencia have reached the finals and the match is scheduled for 25th May 2019 at Benito Villamarín Stadium in Spain.